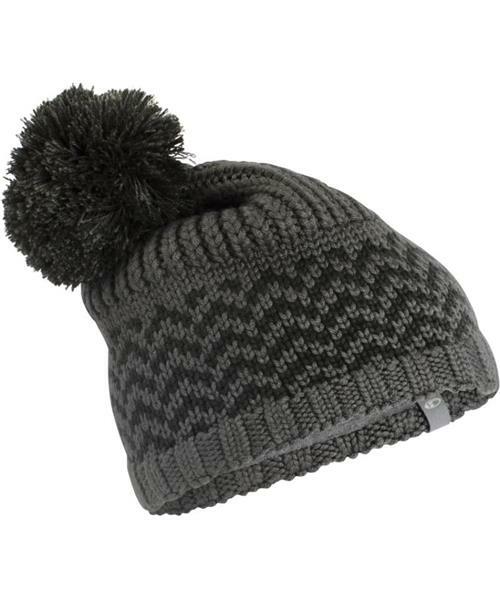 Zig Pom Beanie is rated 4.7 out of 5 by 3. Rated 5 out of 5 by ToastyStrudel from Cute Beanie! I needed a beanie that would sit on my head and keep me warm. This beanie is just the thing! The wool headband keeps the beanie on my head and prevents movement from my jacket and scarves unlike my other beanies. I wear a lot of layers in cold Canada! Only thing is when it gets very cold and there’s wind, I can feel some of it through the beanie because the merino wool lining isn’t all over the hat. When this happens I just put on my hood and I’m covered. Rated 4 out of 5 by Simonqb from Awesome hat but feel a little small Awesome hat. I would have like it a litte bigger, but im still happy with my purchase.